Datuk Hasmi Bin Hasnan, aged 65, is the founder of Naim Land Sdn. Bhd., a wholly-owned subsidiary of Naim Holdings Berhad. He was appointed Managing Director of Naim Holdings Berhad on 25 July 2003. He graduated with a BSc in Estate Management from the London South Bank University, UK in 1978. He is a Senior Certified Valuer with the International Real Estate Institute, USA and a member of the International Real Estate Federation (FIABCI). He began his career in 1979 as a valuer in the Land and Survey Department of Sarawak. Since 1982, he has been involved in a wide range of businesses including valuation, project management, property development and management, construction, timber, manufacturing, trading and publishing. In June 1993, he became the Managing Director of Naim Land Sdn. Bhd. and has since been the main driving force behind the company’s growth and expansion. He was awarded the Property Man of the Year for 2008 by FIABCI in Kuala Lumpur. 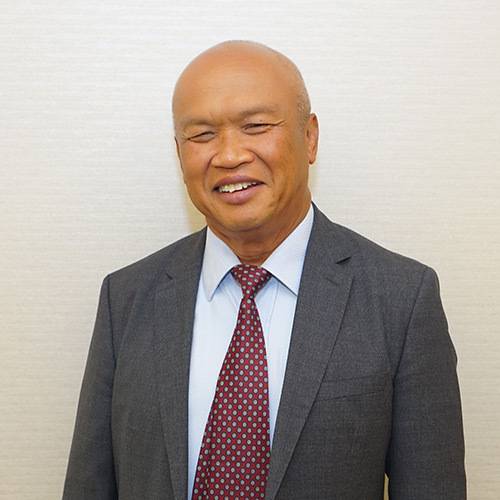 He is a Non Independent Executive Chairman of a listed company, Dayang Enterprise Holdings Bhd, and a Director of a non-listed company, Naim Incorporated Berhad.